There are many regional variations in ralli designs. Sometimes it is possible to know where a ralli is made purely by its design. 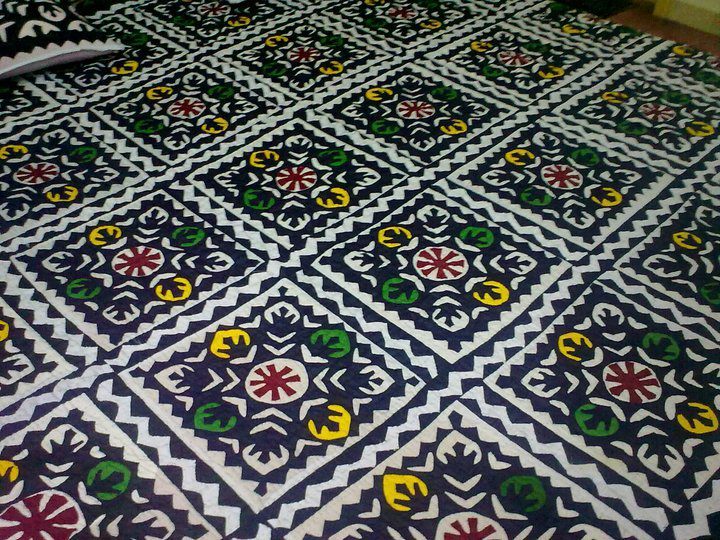 In the southern part of Sindh (lower), the region of Badin is famous for intricate quilts made in a black, white, red and yellow color scheme. The desert region there is also where the embroidered Saami quilts are made. 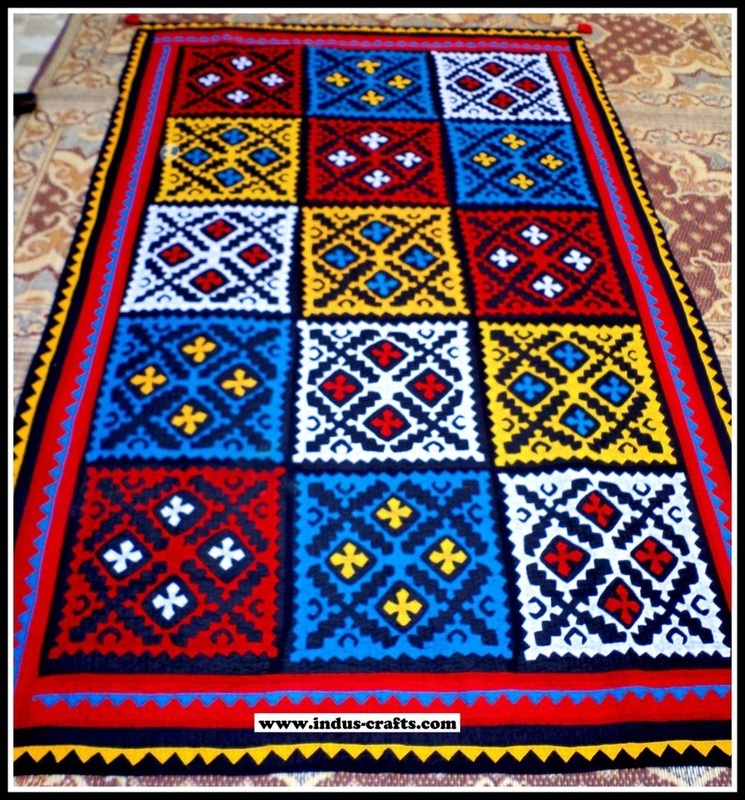 In middle Sindh, there are many variations in ralli design. The color scheme often includes white, black, red, yellow, orange, green, blue, purple and for the Hindus, pink. The backs are often green or fabric overdyed green. In southern Punjab (north of Sindh), the rallis have some very distinctive characteristics. In the area of Rahim Yar Khan, the ralli most commonly seen are a mix of 9 path blocks with very fine lined appliqué blocks. The border used frequently is squares on point and the backs are often orange. The desert of Cholistan to the east, also uses some patchwork mixed with fine appliqué. The colors used are often red, blue, yellow and white or more muted variations.